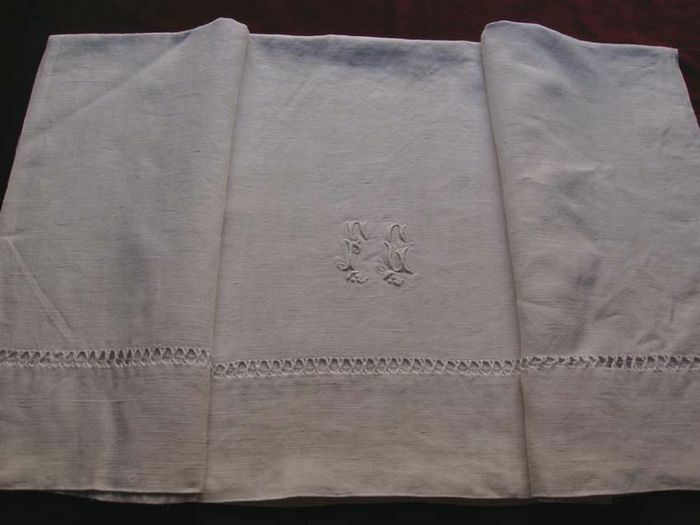 Buttery soft antique ecru linen toddler sheet monogrammed FG with delicate floral embroidery. A fancy crossed thread row of embroidery runs the lenght of the return border. A rare find! Dimensions: 76 x 40in.